Note: This is a school or district administrator feature only. This article describes how to share a curriculum map after it has been created. If you are looking for information on creating curriculum maps, check out our article Create a Curriculum Map. Next, select the Curriculum Map that you want to share. 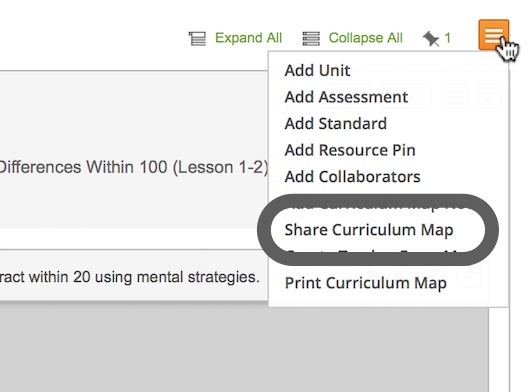 Hover over the orange menu button and select Share Curriculum Map. Select who you want to share your map with. If you are an administrator, you can share with multiple schools and grade levels within the district. 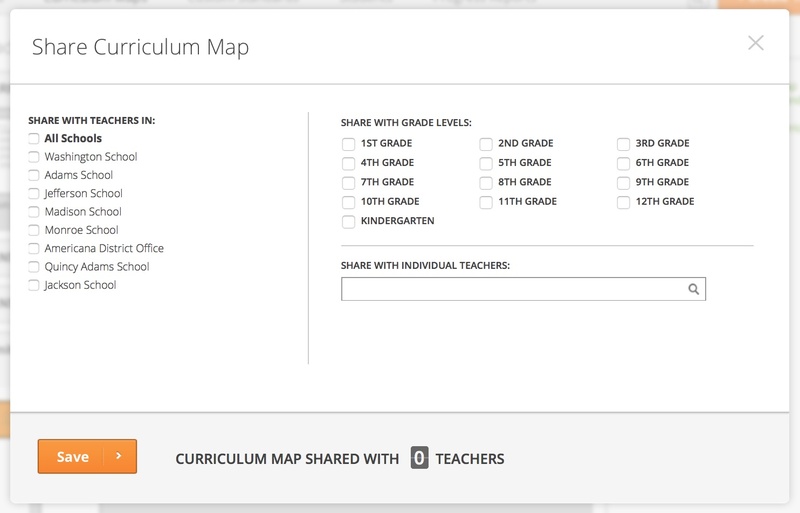 You can also begin typing a name in the Share with Individual Teachers field to find specific teachers to share your curriculum map with.